Medievil came into existence in the end of 1998 in Minsk, Belarus. The line-up was the following: Bretors - guitars, vocals; Svelt - keyboards, guitars; Trefoil - drums; Xvost - bass. At that time the leader and the main composer was Bretors. 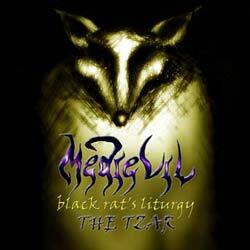 In 2000 the first demo/album Black Rats Liturgy was recorded, the music being an original blend of sympho/death/black/heavy. The quality of the recording was purely underground. In the autumn of 2001 the band split in two - Medievil (Trefoil & Xvost), and The Tzar (Bretors & Svelt). Shortly after that The Tzar seized to exist. Meanwhile, the concept of Medievil shifted towards black metal greatly. After the line-up reformation Bes Trefoil took up lyrics, all guitars and vocals. Xvost was still on the bass, now taking part in composing the music. In the winter of 2002 the single Mahilny Son (The Grave Dream) was recorded as a promo for the force coming album. 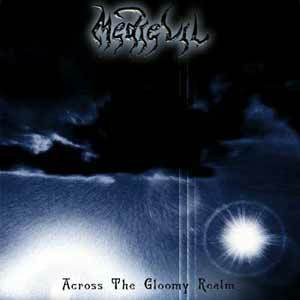 In the summer 2002 Medievil recorded its second album, Across The Gloomy Realm, in Bes personal studio, Pyre Rex. All the music material was recorded by Bes himself, except for some bass lines, performend by Xvost. 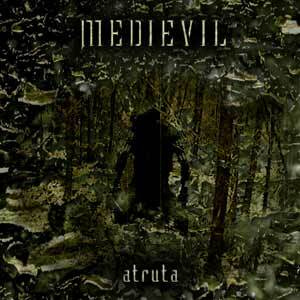 In the beginning of 2003 Basilisk joined Medievil on the drums. Soon Xvost leaves the band because of lack of energy and change in life priorities. In spring 2003 Aldagil took the vacancy of the bass player, having played in Kaduk and Aeon Noctis before. In 2004 Medievil finished their first video K Tchertyam! (To Hell!). Although the video was introduced on the 1 National Channel, it was distributed only via Internet, due to the UG format of music. Medievil's music is broadly black metal, but due to the absence of ideologies of the mid-90s, we prefer to define it as Black Art. From the autumn 2003 the band members started work on Atruta - a new stage of the band development. The music got heavy, mesmerizingly black, soaked with swampland atmosphere of stagnation and decay. Technically it is black metal with an addition of old-school death/trash, with poisoning vocals and both black and death riffs. In November 2003 Bes recorded two demo songs for the upcoming Atruta - Blood Comes Black and In Mist We Stand. Blood Comes Black was chosen to be the second music video, and simultaneously the video material was shot for the song, November being the best time for that - cold dreary autumn, twilight, rotting old forest. In the autumn 2004 Bes Trefoil began recording Atruta in his studio Pyre Rex. Ason the previous album, all the music was performed by him, except for the bass lines dor Blood Comes Black and In Gloom And Spikes. The reason for that was geographical distance - all the three members were residing in different countries. Till the middle of 2005 all the music was recorded, and in August 2005 Bes recorded drums in Zaglada studio, Kyiv. The recording was mastered at Pyre Rex. As a result, by the beginning of 2006 Atruta was ready.